Kansas City, MO, March 14, 2019 --(PR.com)-- Custom Truck One Source (Custom Truck) has entered into a strategic partnership with EZ Trac. The partnership positions Custom Truck as an exclusive authorized dealer and installer in the United States. Through the EZ Trac/Custom Truck relationship, customers will have access to EZ Trac at all Custom Truck locations in the United States, as well as Custom Truck’s extensive service network. The EZ Trac Hydraulic All-Wheel Drive System boasts many outstanding features. EZ Trac maintains the existing factory OEM ride height, weighs up to 1,000 lbs. less than mechanical all-wheel drive systems, and maintains factory turning radius. Additional benefits include minimal maintenance and less service as a result of EZ Trac’s no transfer case requirement. EZ Trac can be installed on new or used trucks. 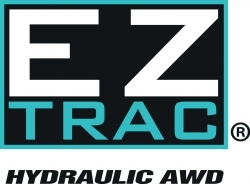 EZ Trac, a division of Terra Drive Systems, is a North American provider of hydraulic all-wheel drive. The EZ Trac Hydraulic All Wheel Drive System brings power and performance to medium or heavy-duty trucks while maintaining the factory ride height and steering radius of a typical two-wheel drive. An industry standard in the Utility markets, EZ TRAC is also utilized in Military, Construction, Oil Field, Mining, Refuse, Snow and Fire Apparatus industries.